Hunslet have signed prolific try scorer Dee Foggin-Johnston from York City Knights. Foggin-Johnston, 21, is a product of the Warrington Wolves Academy and moved to Doncaster in 2016. Hunslet head coach Gary Thornton said: “Dee is a proven try scorer at League 1 level, and will be a fantastic addition to our squad. “He finished top try scorer in a York side that made the play-off semi-finals, including a hat-trick against Toronto. “He will bring some genuine pace and finishing prowess to our outside backs. Having worked with him at Doncaster, I know what he will bring to the group and am really looking forward to seeing him in a Hunslet shirt. Foggin-Johnston said: “I’m looking forward to the new challenge and hopefully I can bring some more excitement and success to Hunslet. Gary is a great coach and he sold the vision he has for the club really well to me and I’m happy to be on board. He added: “Having been the joint top try scorer last year at York, I hope to kick on from where I left off, and I’m looking forward linking up with the squad that Gary is putting together at Hunslet. 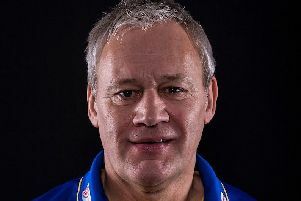 “Hunslet are known for the amazing support they get from their fans and it’s going to be a great feeling to be on the positive end of that kind of passion for the game. Marucs Webb, meanwhile, has joined Swinton Lions.